Click on chart for more information on Ford shares. Ford shares fell sharply Wednesday after the company warned the cost of its aggressive push to launch new products would cut into profits next year. At an investor conference, Ford said it is going ahead with plans for 23 global product launches in 2014, up from 11 launches this year. Product launches in North America will more than triple to 16. But capital spending will squeeze margins and trim pre-tax profit to between $7 billion to $8 billion. The company has already posted pre-tax profit of $7.3 billion in the first three quarters of 2013, and said it is on track to top $8 billion for the full year. Ford said 2013 was one of its best financial years ever and that it was on track to meet its North American profit margin goal of between 8% and 10% by the middle of the decade. But the automaker said its target of a worldwide profit margin of between 8% and 9% in the same time frame is at risk. Ford (F) shares fell about 7% in midday trading on the outlook. 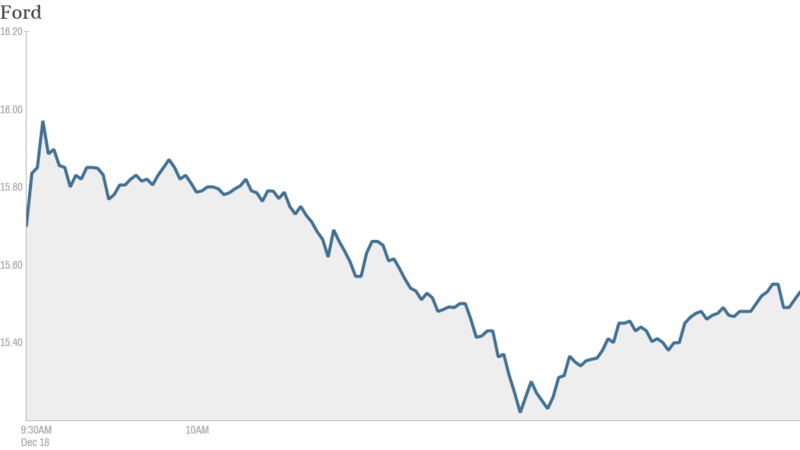 Ford shares have not fallen more than 6% in any one day since August 2011. Shares of competitor General Motors (GM) fell about 3%. "The payoff for North America from the 2014 launches and investments we incur for future periods will be a stronger product lineup and volume and revenue opportunities into 2015 and beyond," said Chief Financial Officer Bob Shanks. Ford did not list all the new cars due in 2014. 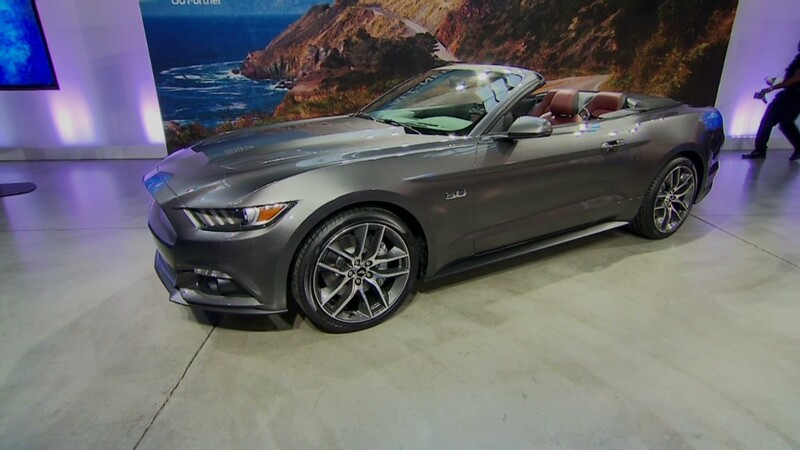 Its highest profile debut will be the 2015 Mustang. It is also expected to debut a new version of the F-150 pickup, the best-selling U.S. vehicle, but Ford has so far declined to comment on its plans for the pickup. Ford will also go on a hiring binge to accommodate the roll outs. It said last week that it planned to add 5,000 new U.S. jobs next year, including 3,300 salaried positions.